Drawing on this Irish saying, poet, storyteller and theologian Padraig O Tuama relates ideas of shelter and welcome to journeys of life, using poetry, story, biblical refelction and prose to open up gentle ways of living well in a troubled world. The fourth gospel tells of Jesus arriving in the room where the disciples are gathered, full of fear, on Easter Sunday. He does not chide or admonish; instead he says 'Peace be with you', which, in the Aramaic of his day, was simply a greeting. To people locked in a room of fear he said 'Hello,' welcoming them to a place of deep encounter: encounter with themselves, with their fear, with each other and with the incarnate one in their midst. 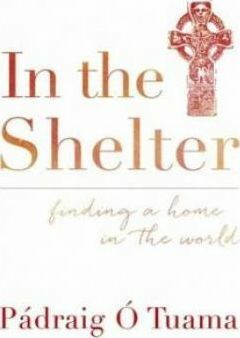 Interweaving everyday stories with narrative theology, gospel reflections with mindfulness and Celtic spirituality with poetry, In the Shelter reveals the transformational power of welcome. Padraig O Tuama is a poet and theologian based in Belfast. He teaches on religion, storytelling and conflict transformation, and is a popular speaker at conferences and festivals in Ireland, the UK, the US and Australia. He is the leader of the Corrymeela Community, a Christian witness to peace in Northern Ireland, and is the author of two books of poetry: Readings from the Book of Exile and Sorry for Your Troubles, both published by Canterbury Press.